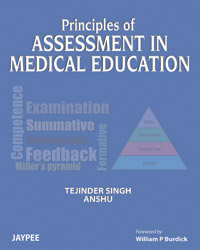 The book on “Principles of Assessment in Medical Education” has been released. Tejinder and Anshu are the editors while a number of international and national experts have graciously contributed their work. The book is focused on assessment for learning, specially in Indian medical schools.